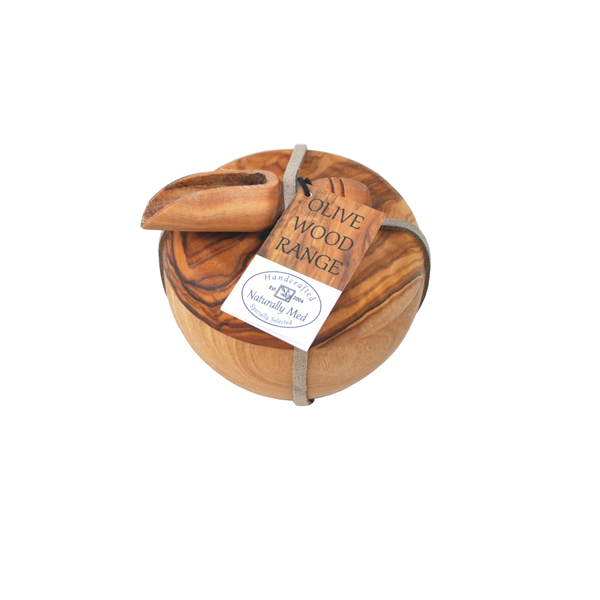 A lovely set of an olive wood salt cellar and salt scoop. This makes a great gift. 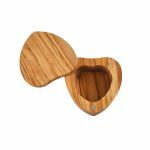 Handcrafted from olive wood from Tunisia this set is one of a kind. 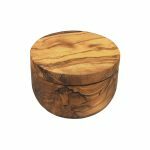 The salt cellar / salt pot / salt pig measures 3″ diameter and is teamed with an olive wood salt scoop 2.75″ approx. length.